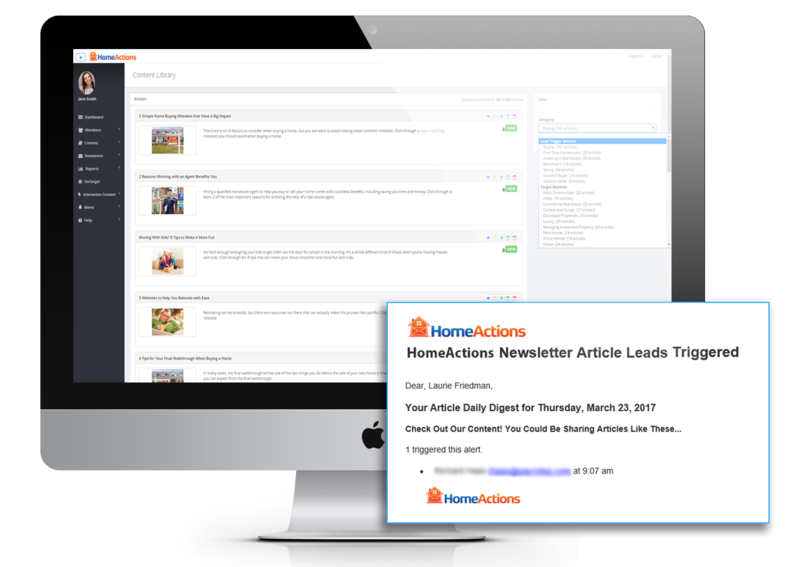 Turn your real estate email newsletter into a lead generation power house with HomeActions Lead Trigger articles. Imagine being able to read the minds of buyers and sellers. 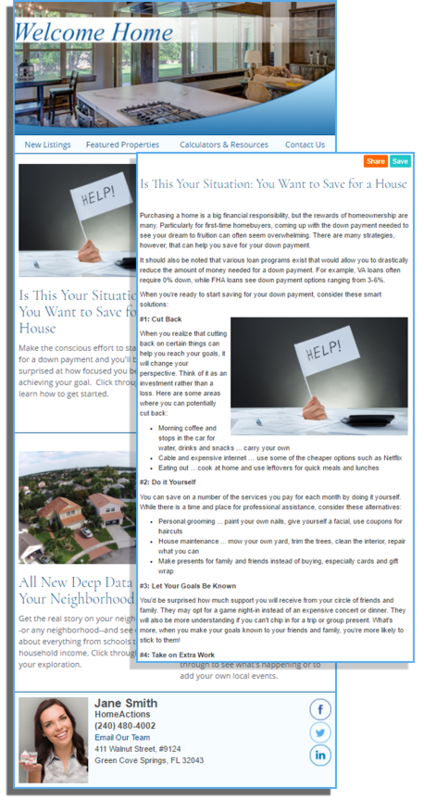 Lead Trigger Articles give you the crystal ball you’ve been looking for so you can get more leads from your real estate marketing. Lead Trigger Articles are a unique series of articles in our Content Library that are designed and written to peak the interest of potential buyers and sellers and deliver you an alert with every click. This gives you an automatic warm lead, or at a minimum a conversation starter. Plus, we give you the ability to turn ANY article you want (even your own custom articles) into a Lead Trigger Article with one simple step. Our Lead Trigger feature turns your email newsletter into a lead generation powerhouse. Lead Triggers give you the ability to directly connect with interested newsletters readers in real time. Our Content Library houses a selection of Lead Trigger Articles you can quickly and easily choose for publication in your newsletters. The topics and content of these articles are meant to provoke the interest of prospects or clients who may be considering your services. When a Lead Trigger Article is clicked and read, you’ll automatically receive an email alert detailing who read the article and how to contact them. Additionally, we give you the option to turn any article you choose into a Lead Trigger with just a few simple clicks.